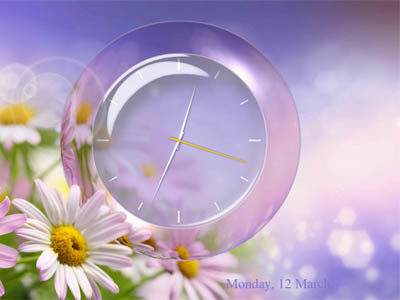 We present free animated Enchanting Clock screensaver for our users. You will see animated scene with a gentle romantic background and analog clock. Light screensaver with floral pattern will surely decorate your desktop PC. Summer screensaver will remind you of warm summer days. And will serve as an unobtrusive addition and decoration of your computer. With this screensaver you will open the window to the garden with flowers. This site is managed with 1SITE the website creator software.